Search Engine is a lightning fast and smart Woocommerce Search Plugin which is available without monthly fees. It is very powerful and easy to use and turns a simple search box of your WooCommerce Store to the powerful multifunctional magic box which helps you to sell more products. The plugin UI is compatible with all themes. Lightning Fast Search by Product Name, Description, Synonyms, SKU, Product Tags, Custom Fields and Attributes! Smart autocorrected search: If your client types incorrect product name(f.e. “smartfon” instead of “smartphone”), our smart algorithm recognizes it and shows relevant results. Search by tags, SKU, taxonomies, categories and attributes: The plugin let’s you to build search box which finds the products by produtct title, description, any custom field, product tag, product category, product attributes etc. which is very useful. The plugin also provides WooCommerce search by SKU. Search by synonyms: Place multiple custom synonym pairs and the plugin will take it into account. Search results page – Provides the same smart search results for your theme’s search results page (the page that comes after pressing an enter) – without changing your theme’s UI. Search Analytics: Track what your visitors tried to search. Discover new products your visitors want and which you don’t have yet. Trending Products: (New!) Show hot trending products of your website to your customers. The plugin has some unique way for defining trending products. Featured Products: Show selected products to your visitors before they start typing for search. Recently Visited Products: Show recently visited products to your visitors. First Screen – When the visitor starts to type something. 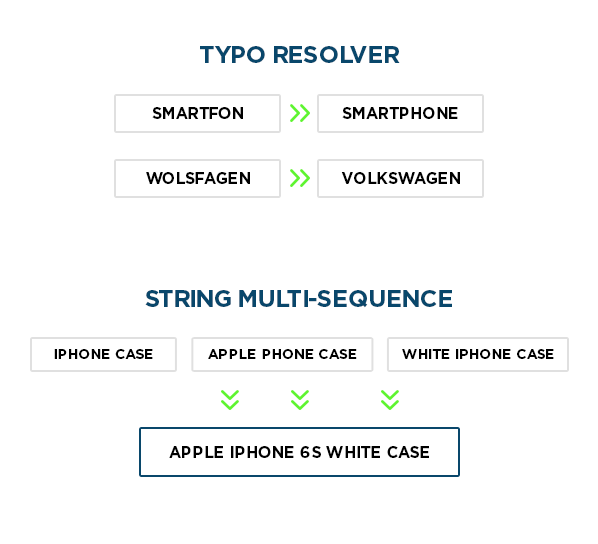 Typo Correction Resolver – If visitor makes typo mistake in search keyword, the plugin understands what he/she means and shows relevant results. Search by your chosen custom meta field, tags, attributes. Suggest popular products when “no any result found” message appears. No matter to type either A-B-C or B-C-A, B-A-C, C-A-B row – all of them are understandable by our engine. Main Feature: Very fast search suggestions by Product name, description, category, tag, meta fields, attributes and SKU – no loading time, no waiting, no any ajax or server-side loading, so it is really fast.